Doctors typically wear Surgical Masks to protect themselves from bodily fluids that splash, spray, or spatter during a procedure. During a zombie outbreak, though, doctors will not be the only ones who wear a Surgical Mask to protect their face. Zombies are walking masses of necrotic flesh, making them feeding grounds for bacterial and viral infestations. And since killing a zombie often induces a bit of splatter and spray of decayed blood, a surgical mask like this one might be a good thing to wear. 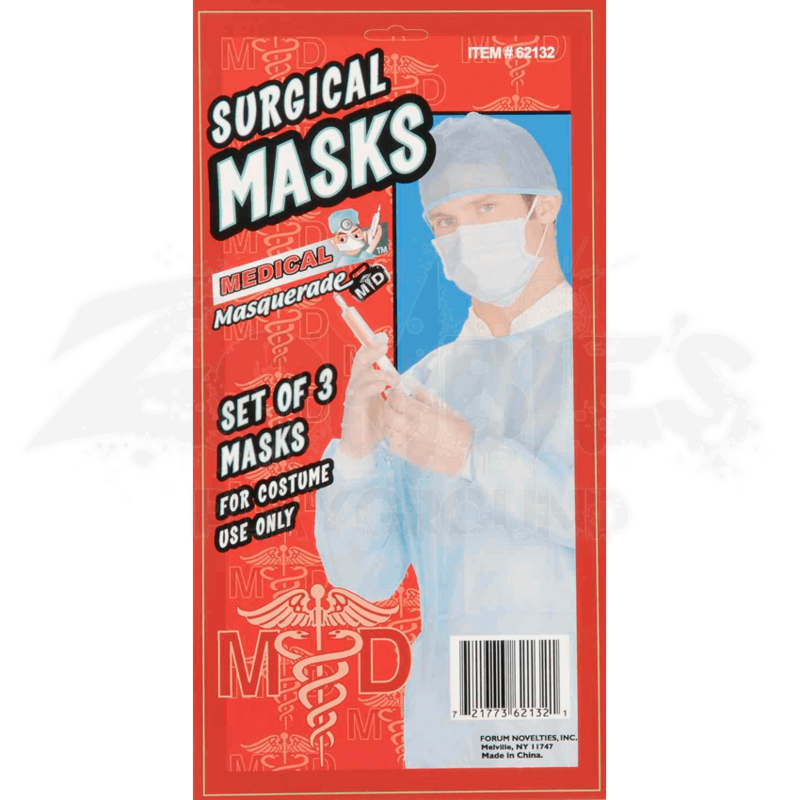 These masks are modeled after typical surgical masks but are designed for costume purposes. Each set contains three masks, which are worn by securing the masks wraps behind and around your ears. 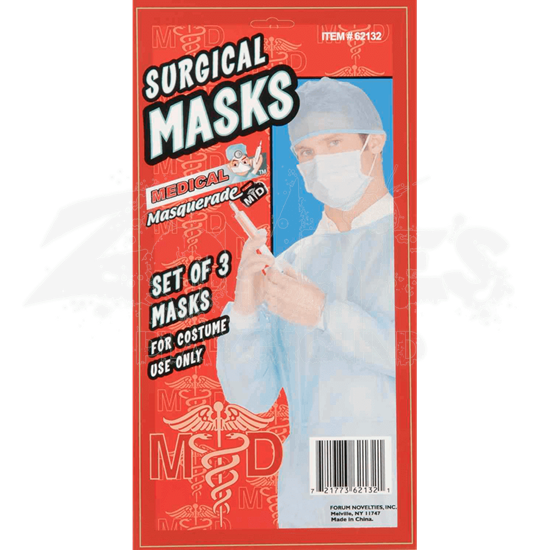 As a side note, these Surgical Masks are great for giving a variety of different costumes a bit of a medical twist, transforming even a typical zombie-fighting soldier into what may be a field medic.